A 2019: Season 1: Open match scheduled for Tuesday 6:30pm January 29th 2019 AEDT. Submitted that darrrrdyy unnna did not attend the match. yo what happened you guys? Server (9ee975a0-6eee-4044-9810-9f216a842a97) has been taken offline after being empty for 15 minutes. 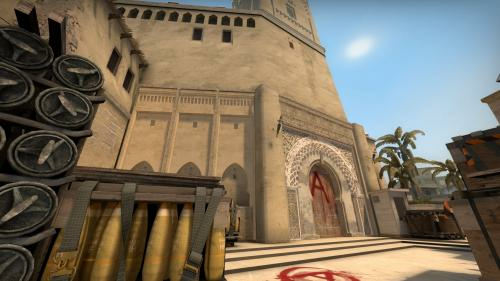 Steam Community: Counter-Strike: Global Offensive. A match reschedule request has been made by Drox Low CGO BOL for 10:30pm January 29th 2019 (Tuesday). A match reschedule request has been made by Drox Low CGO BOL for 10:00pm January 29th 2019 (Tuesday). A match reschedule request has been made by Drox Low CGO BOL for 4:30pm January 29th 2019 (Tuesday). I have to be out at 6 for personal reasons, really sorry hope you guys can play this early would really appreciate it. Opposing team has 11 mins to accept or the existing time will remain. A match reschedule request has been made by Drox Low CGO BOL for 6:30pm January 31st 2019 (Thursday). Match has been created and scheduled for Tuesday 6:30pm January 29th AEDT.